How to Play iTunes Purchased and Rental Videos on Xbox 360? 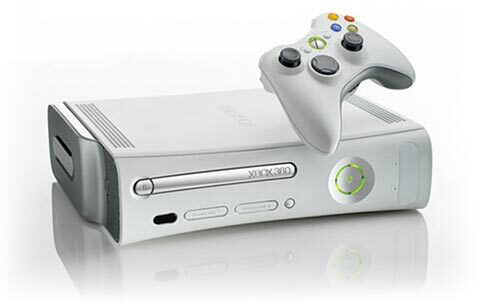 Xbox 360 competes with Sony's PlayStation 3 and Nintendo's Wii as part of the seventh generation of video game consoles. Xbox 360 stands out for its online service, Xbox Live. It also allows users to stream media from local PCs, which means that you can transport videos, music and so on to Xbox 360 via USB for playing. Xbox 360 supports videos in Windows Media Video (WMV) format (including high-definition and PlaysForSure videos), as well as H.264 and MPEG-4 media. Though Xbox 360 provides good live service for TV shows and movies, there is chance that some TV shows or movies cannot be found on it while iTunes includes them. But how to play iTunes purchased or rental videos on Xbox One since they are protected by Apple developed DRM? The key is to remove DRM from iTunes videos and convert them to Xbox One supported format. Here comes AVS4Mac M4V Converter Plus that is well-evaluated and good at doing the above job. Download and install Windows or Mac version of AVS4Mac M4V Converter Plus according to your operating system. Then click program icon to launch the program and iTunes will be opened automatically with it. Note: The unregistered version of AVS4Mac M4V Converter Plus allows one-minute trial. Click "Add" button on the upper left interface to open iTunes library where your purchased and rental videos will show for you to choose from. Choose one or a batch of videos and click "OK" to apply. Note: If the movie can't be imported via clicking Add button, you can try to find the movie file and directly drag it to the program to import. AVS4Mac M4V Converter Plus has inserted a specialized output format for Xbox 360 so that the converted video can be most compatible with Xbox 360. Please go to the right interface and choose "Xbox 360" as output format. Any other parameters setting is not needed. 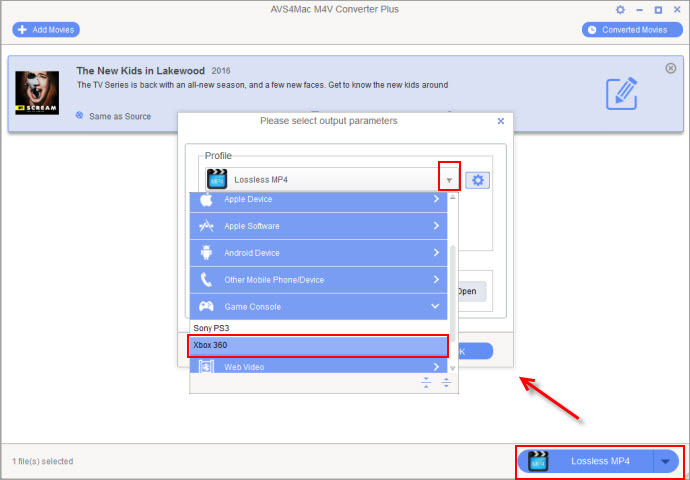 Tip: Except Xbox 360, you can also choose WMV, MP4 and so on as output format. Likewise, go to the right interface to set the output path you want to save the converted videos. And then click "Convert" button below to start converting. Note: Please do not click anything on iTunes while converting. Or something wrong will happen and no video will be converted. Go to the output path you set before to find the DRM-free iTunes videos and transfer them to Xbox 360 via USB for playing. Note: AVS4Mac M4V Converter Plus is a home edition and it's only for personal use. You can purchase the full version now at only $44.95 while the original price is $49.95. For those who complained about the high price of Xbox One, apparently Microsoft heard that. Xbox One of $400 without Kinect will be coming on June 9, 2014, as Microsoft announced. The cheaper Xbox One will not include the Kinect peripheral and no longer require a Live Gold subscription to access streaming apps like Netflix, Hulu Plus, YouTube, and HBO Go. A Live Gold subscription will also not be needed for some premium services on the Xbox One, such as OneGuide, Internet Explorer, and Skype. You can now preorder this cheaper Xbox One on the official site of Xbox.